On the way back from Zurich, 24 hours post Ironman (that’s a 2.4 mile swim, 112 mile bike and 26.2 mile run in 35degree heat and a fair few hills), I decided to look at what race I could do next, and soon. With limited options left at this time of the year, Taiwan was thrown into the suggestion list. To race two Ironman distance events in 8 weeks is one thing but throw in over 24 hours of travelling and some crazy humidity (a climate I have never experienced), is quite another. Of course, this seemed like a great plan to me. Before I knew it, me and Sam (absolute boyfriend goals for not even questioning it when I told him the plan was to head to Asia! ), are at Manchester Airport, about the board our first of three flights to get us to the unheard-of island that is; Penghu. It was 27 hours of travelling before we eventually landed in Taipei – we missed the last flight of the day to Penghu, so we had to sacrifice a night we had paid for in Penghu, and buy another hotel room in Taipei! To say we were disappointed with the food at the hotel would be an understatement… we had no idea that it was only going to get worse once we landed in Penghu. The small planes of Penghu have a ‘first come, first serve’ policy when it comes to bikes on planes… meaning we were 2.5 hours early to the airport, which contained one shop (a newsagent type shop, which of course included random sweet potatoes and questionable looking meat just boiling away in the middle of the confectionary isle!). I can quite confidently say that it was the scariest journey of my life – I could reach both sides of the plane if I stuck my arms out, and my head was almost touching the roof when I stood up. It felt like the plane may have been partially sucked into a hurricane throughout the one-hour journey. Arriving at our hotel was the only reassuring thing we had experienced since we landed in Asia – it was lovely, and also home of the expo/race briefing for the race. We spent 4 nights here before the race, settled in and met some amazing people who really made my Taiwan experience special! The hotel breakfast was actually a ‘food box’, including a cheese sandwich, a cheese scone and an apple – first issue of the day. I ended up having to have cornflakes with water out of a mug – possibly breaking the record for the worst pre-ironman breakfast in history? Seeing a 500m transition, up some steps and a hill a few days before the race was slightly daunting. Seeing and hearing people discuss the waves due to the crazy weather we were getting (due to a nearby typhoon), was even more daunting. We arrived at the swim start nice and early to find a lack of toilettes – we ended up exploring a nearby temple and found ourselves in the middle of people chanting/praying! Despite the lack of toilettes, the swim was the most amazing thing I have ever seen – everything lit up and beautiful! Around 30 minutes before we were due to start, we were informed that due to the crazy weather conditions, the swim would now become 400m. Yes, you read that right – the swim was now to be shorter than transition 1. I would absolutely be lying If I said I was disappointed. I opted for non-wetsuit as I decided over the distance, my competitors wouldn’t be able to put too much time between us, and It would mean a quicker transition. Despite the distance, the swim was ridiculously hard! It was my first sea-swim, and it became very obvious why the full distance could not have gone ahead. I got to T1 to see only one girl in my AG was out ahead of me, I surprised myself with a super quick change and headed out on my Beautiful Liv Avow. Within minutes the second problem of the day happened – my front water bottle (which is attached to the bike and something I refill throughout the race), fell from my bike and smashed into my wheel. I managed to stay on the bike, but the real worry was how I would now get through 112 miles on the bike in ridiculously hot/humid conditions, with only one bottle per food station. 10 miles into a bike course with open-roads (a lot of close calls with mopeds that did not care about a race going on! ), a pack of stray dogs ran across and missed my bike by about half a second! 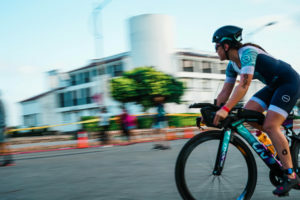 In between battling through a bike course in a typhoon, I genuinely thought I was being shot at, when in actual fact fireworks where going off in the streets, In broad daylight! Despite struggling to stay upright and moving forwards in the most ridiculous wind (I really cannot put into words what it was like and how bad it was! ), the bike course really was something special. We covered every inch of the island, passing temples and beautiful bridges. 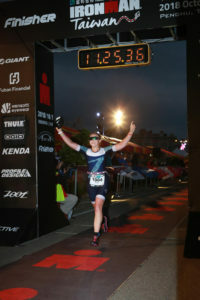 Arriving at T2 to see that I was the first in my AG back, spurred me on for a fast T2 in an attempt to put more distance between us. 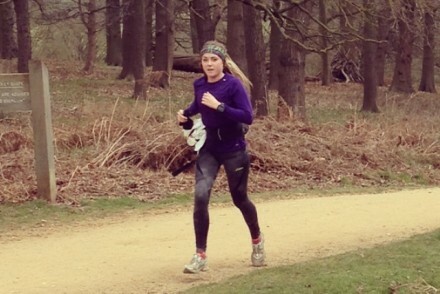 I set off on the run feeling stronger than usual by this point, and very happy to see Sam there cheering for me! My plan of action was to keep the miles within the 8minutes, walk for 30s every 3 miles and have a gel at those walk points. This plan was going great… until It wasn’t. The heat and wind got too much, and I quickly adjusted the plan so that I could walk at every aid station, but still keeping within the 8 minute miles. I just about stuck to the running pace, but very much slowed down and elongated the walk periods, which of course, really brought my average pace down. The run was mentally tough – very hot, very windy, and some really long stretches without food stations. Oh, and only two toilettes. 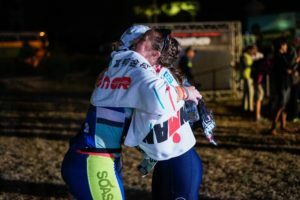 By the time I was heading towards the red carpet, I was pretty certain I was on for a Kona slot – I hadn’t seen anyone in my AG pass me, and I knew how much people were struggling in these conditions. As always, nothing beats that finish line feeling, unless the presenter throws their arms around you at the end and asks if you’ve ever been to Kona – that beats every red carpet experience! I have thought about the Kona dream every single day for the last 3 years. I’m still in shock that it’s happened – my 4thIronman, 2ndin 8 weeks. 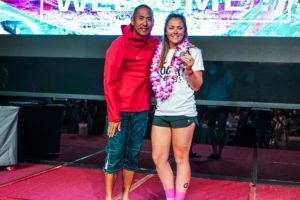 I chased my goal all the way to Taiwan, and I did it – it means the absolute world. Thank you so much to every single person that wished me luck for this race and supported my crazy journey. To the brands that helped me get here, encouraged me and believed I could do it, I can’t thank you enough! I also met some absolutely amazing people on this trip who I will never forget! 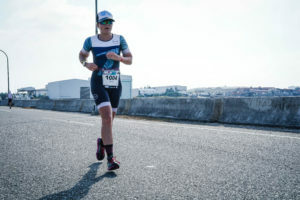 Simon – someone gravitated towards at Penghu airport once I heard a fellow English voice, was such a big part of my Taiwan Ironman experience. He took me out on a bike recce (scariest of my life thanks to the typhoon), gave me countless tips and reassurance, helped me find transition, travelled to the start with me and celebrated post-race with me. Britney, Jenny, Brooke, Jonathan (and family! ), Marnix, and all of the Liv/Giant Taiwan team, it was so awesome to meet you all, thank you for being part of my Taiwan dream! Get ready for the Kona spam! SO great to meet you and your fam! I have everything crossed that I will be seeing you in KONA.. you deserve it!! !